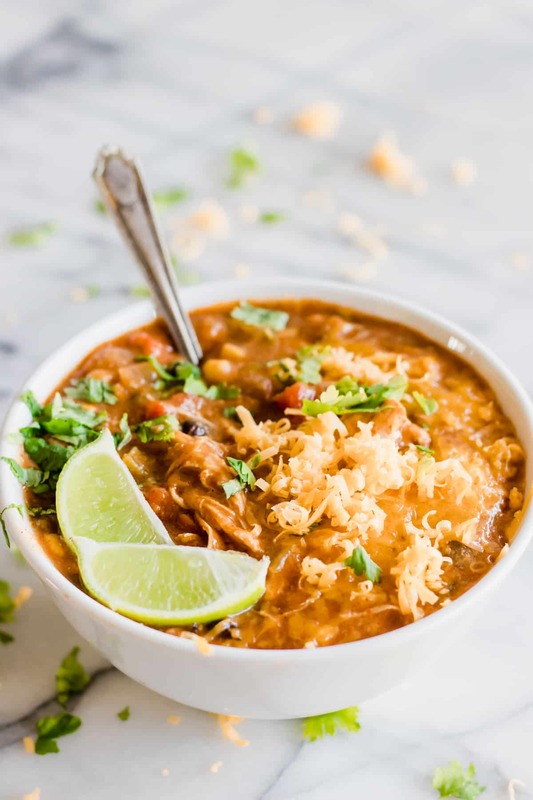 Slow Cooker (affiliate link) Chicken Enchilada Soup! 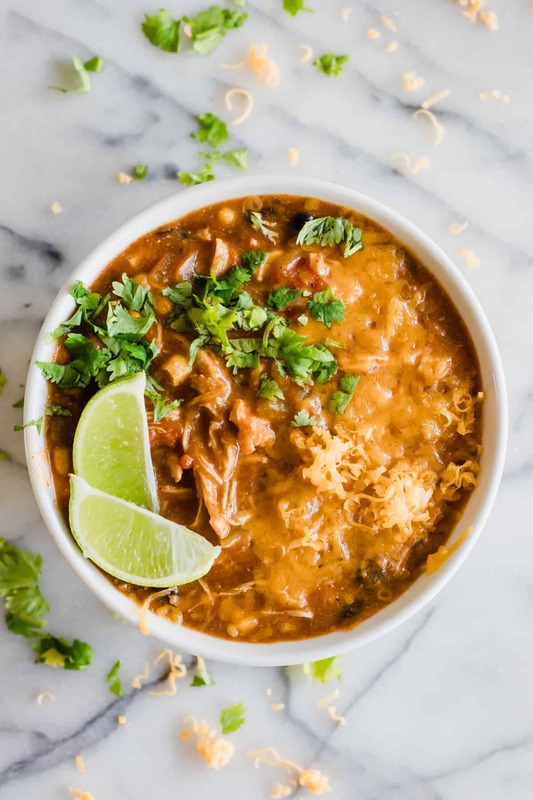 This super flavorful soup is made with enchilada sauce, chunks of chicken, beans, corn, tomatoes, and of course tons of cheese! The perfect warm comforting meal that will warm from the inside. 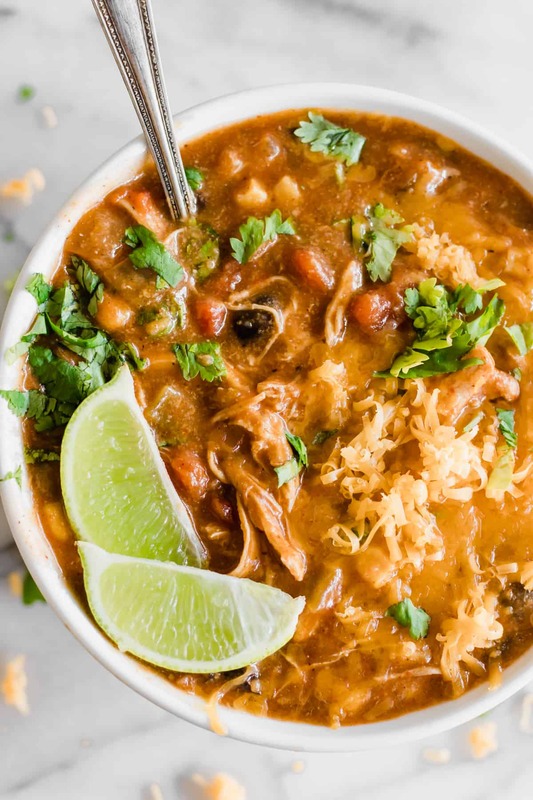 Chicken Enchilada soup is basically all the best parts of a chicken enchilada in soup form! The base of the soup is a mixture of chicken broth and actual enchilada sauce. Hearty chunks of chicken, tomatoes, black beans and corn are usually included in this soup. But feel free to add any additional flavors you want! Do keep in mind that adding the enchilada sauce adds a bit of heat to the soup naturally, so you may want to keep the spices and seasonings minimal. 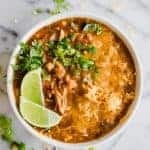 How Do I Make Chicken Enchilada Soup? 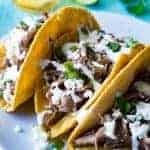 This particular recipe is made in the slow cooker (affiliate link). 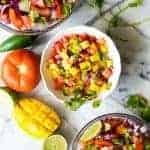 Add chicken to the slow cooker (affiliate link) with some chicken broth, enchilada sauce, black beans, corn, tomatoes, and diced green chiles and let it all cook together. Once the chicken is cooked, shred and add it back to the soup. The last ingredient added is the shredded cheese which adds a thickness and creaminess to the soup. Some recipes call for flour or masa added to the soup as well to add a thickness. I don’t particularly find it necessary though, so I didn’t add it to this recipe. Can I Make this Recipe for Chicken Enchilada Soup on the Stovetop? Yes! If you’re in a hurry and you just want to be able to toss this on the stove in a pot and cook it up go for it! Instead of putting the chicken in raw and having it cook in the slow cooker though you will want to shred the chicken and add it to the soup. 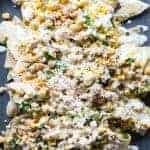 The same type of method in this White Chicken Chili, and there’s instructions on how to cook and shred the chicken also. That is the perfect fall comfort soup! Absolutely! Thanks so much Julia, hope you’re having a Happy Monday! Sounds and looks incredible, Serene! Did I hear can opener and crock pot? Yes, I can do that even on my busiest days— and this looks so comforting! Absolutely Sue!! Doesn’t get any easier does it? It’s definitely comfort food at it’s finest 🙂 I hope you enjoy! 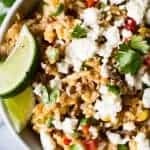 Looks delicious, always looking for more crock pot recipes! I love soup AND my slow cooker! A total win — looks awesome Serene! Thanks so much Ashley! Anything in the crockpot is an absolute win in our home 🙂 Thanks for the sweet comment, have a great week Ashley! 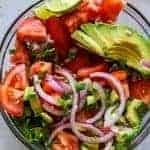 Any substitons for the canned tomatoes? That sounds SO good!! Great idea!